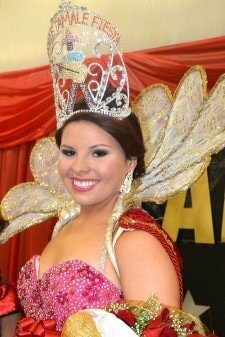 My name is Emmalee Suzanne Lewing, and I am the 40th Annual Zwolle Tamale Fiesta Queen. I am the 17 year old daughter of Keith and Cindy Lewing. My paternal grandparents are Milton Lewing of Many, Louisiana and Linda Morris of La Porte, Texas. My maternal grandparents are Rebecca Procell and the late Gerald Procell of Zwolle. My godparents are Scott and Renay Procell of Zwolle. I have an older sister, Kaitlin, who attends Northwestern State University and is majoring in Biology, and a younger sister, Raeghan, who is a sophomore at Ebarb High School. I am a senior at Ebarb High School where I am very active in basketball, softball and cheerleading. I am also involved in many clubs and organizations such as: Family Career and Community Leaders of America, Future Business Leaders of America, 4-H, and BETA. After I graduate, I plan to attend Northwestern State University and major in early childhood education with aspiration of becoming a preschool teacher. I am a member of St. Ann’s Catholic Church in Ebarb, Louisiana. In the past I have served as an alter server and I currently serve as a Eucharistic minister. My hobbies include shopping, spending time with my family and friends, reading, playing fetch with my dog, Rebel, and competing in sporting events. I would like to thank my parents for sponsoring me in the pageant and also everyone else that helped me prepare for this adventure. 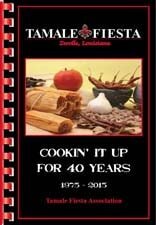 I am proud to be representing the Tamale Fiesta and the town of Zwolle as the 40th Annual Miss Zwolle Tamale Fiesta Queen. I proudly invite you to join me in my home town Zwolle, Louisiana the second weekend in October for a sizzling good time!